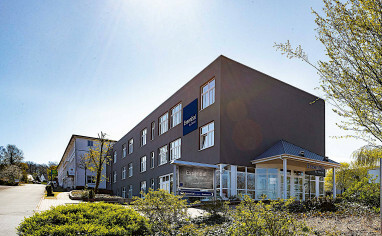 Although Best Western Hotel Bonneberg is located in the countryside, it is perfectly connected to the most important traffic routes with easy access to next airport, fair area, train station and city centre. The 4-star hotel offers 98 comfortable guest rooms with Bathroom with bathtub, minibar, Full-length mirror, ISDN line, Wi-Fi, room safe, non-smoking rooms, Windows for opening and disabled-friendly. 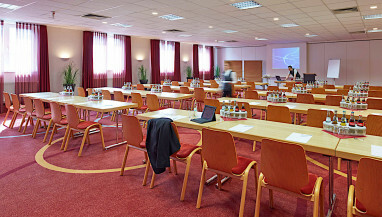 8 conference and meeting rooms equipped with modern communication and presentation technology are at your disposal. 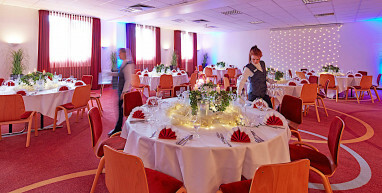 Our experienced team provide the ideal conditions for successful meetings and events for up to 330 persons. 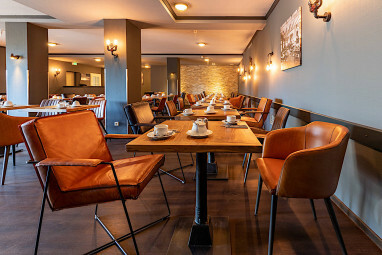 Distributes to 3 floors, the 3* Superior Hotel Bonneberg has more than 98 comfortably furnished guest rooms - specially also nonsmoker´s room and broadminded apartments for conference leader and organizer. The rooms are fitted out all with bright nature wood pieces of furniture, television, telephone, minibar, writing opportunity and seat as well as bath tub or shower. Modern W-Lan connection with Highspeed Internet access is usable on all rooms of the house free of charge. The 4-star hotel offers 7 comfortable apartments with hair-dryer and make-up mirror. Because also the success of an event is a thing of the belly, our chef de cuisine spoils you and your guests with regional and international specialities in our restaurant “Am Bonneberg“. For the little beer after end of work in friendly round or to the harvest our bar “Schenke“ is just the right thing. Sunday is closing day. 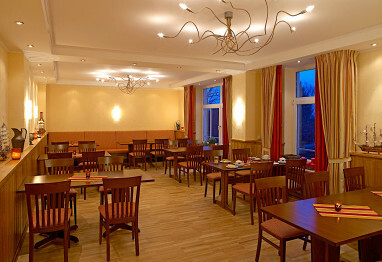 The Hotel Bonneberg offers a broadminded area with a Finnish sauna, two steam baths, two jacuzzis as well as a diving washbasin free of charge to his guests to the fin of the evening. To whom it strives for diligent movement, that can prove his team spirit and sense of fairness in the leisure area of the house. Here is a foyer with billiards, table football as well as two double skittle-alleys. 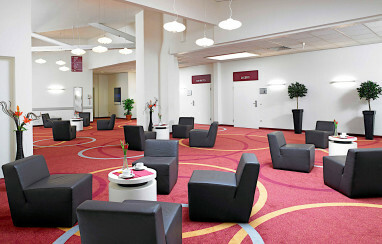 8 meeting rooms that can accommodate up to 330 persons with state-of-the-art equipment.